The silhouette of the Disney castle is an image we’d recognise anywhere. 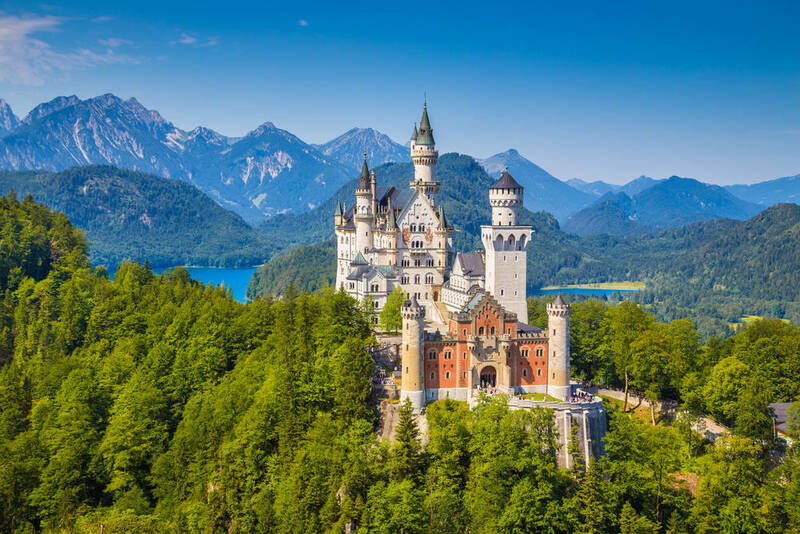 Most people don’t realise that its slender spires and fairy-tale turrets are actually based on a real castle in Bavaria. In fact, most of the settings from your favourite Disney films were inspired by places that are just as magical in real life. 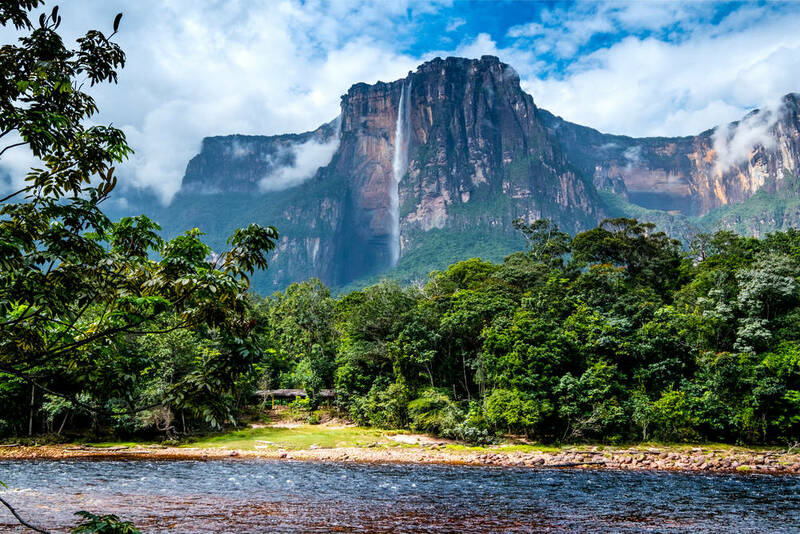 For the ultimate tour of the Disney universe, follow Tinkerbell to these real-world locations. This famous German landmark is the model for the palaces in Cinderella and Sleeping Beauty, and for the Disneyland Castle itself. Walt Disney visited Neuschwanstein on a trip to Europe right before his theme park was built. The castle sits atop a mountain near the Bavarian town of Fussen with views over the dainty village of Hohenschwangau. Families can explore the village, then catch a bus up or opt for the picturesque 30-minute walk up to the castle. This is not possible with strollers and best for older children. There is a castle tour, but with younger kids you may prefer the self-guided route. Fearless heroine Moana sings about exploring what’s beyond the shores of her island home. 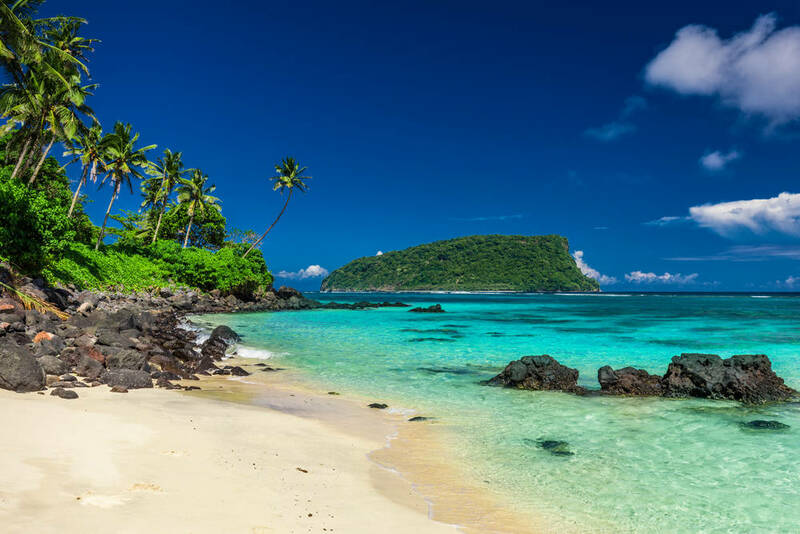 The Tetiaroa atoll of Tahiti, featuring an enclosed lagoon, was combined with the mountainous Bora Bora and lush Samoa to create the fictional Motunui. Visitors to Tetiaroa can make like Moana and stay at luxurious resort The Brando, but don’t expect to put this on your bucket list unless you’ve won the lotto. One night at ‘the place where the sky meets the sea’ starts at $4952 per person. You’ll catch glimpses of the Colossus of Rhodes in Hercules, making it likely that Phil’s Island is based on the Island of Rhodes. Labelled as one of the best of the Greek islands for holidays with kids, Rhodes is perfect for a resort holiday by the beach, filled with Kids Clubs, water sports and the odd ancient ruin. 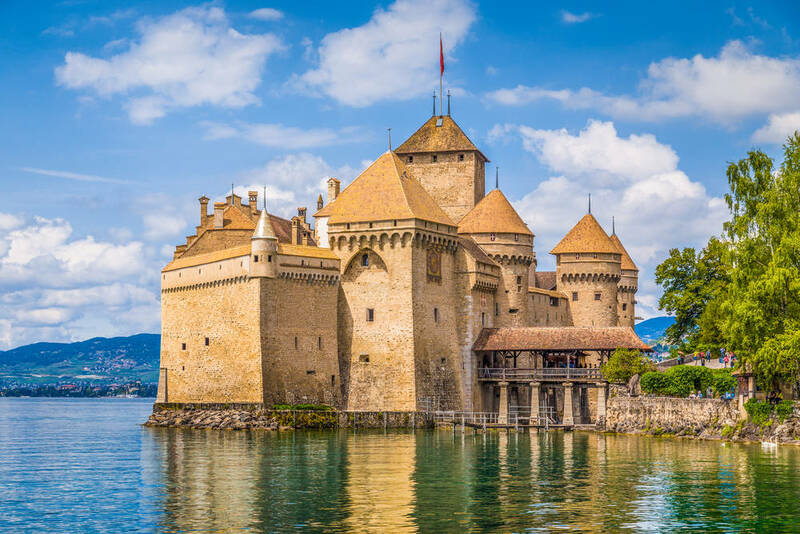 Visit this beautiful castle on Lake Geneva and you’ll notice its resemblance to Prince Eric’s stately home. Ariel and Flounder fans should also visit Copenhagen, Denmark, to see the bronze statue of the Little Mermaid sunning herself on the rocks. The most memorable location in this Disney/Pixar creation is the address of P. Sherman at 42 Wallaby Way, Sydney. Sadly this spot is fictional, but the majestic Opera House is not. 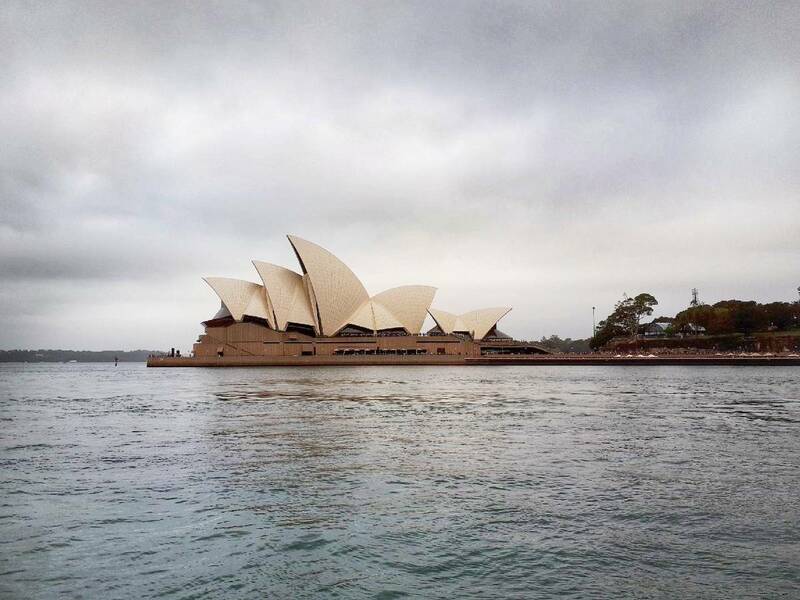 A trip on a harbour ferry offers an atmospheric and relatively inexpensive view. Further north, stop at the Great Barrier Reef off the Queensland coast. 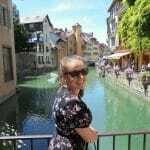 You can take snorkel and glass bottom boat tours from Airlie Beach, Cairns or the Whitsunday Islands and meet clownfish, angel fish and green sea turtles. Cool, dude! 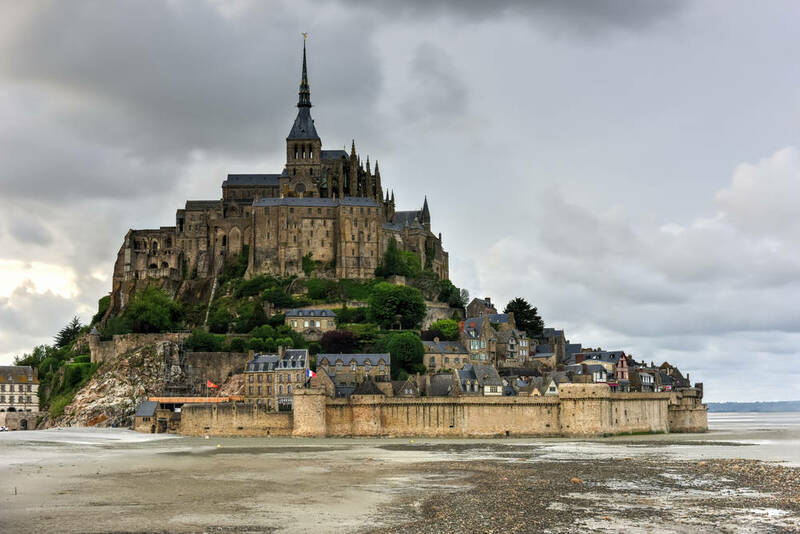 Corona Castle in Tangled boasts a lovely French Renaissance flavour, much like the Mont Sant Michel Abbey in Normandy, France. Prepare for wet and windy weather year-round and aim for an early morning visit to avoid crowds as much as you can. It’s no longer permitted to drive to the the island. You have to park your car and either walk 2.5 kilometres or use the free shuttle bus service. The gargoyles and gothic ghostliness of the Notre Dame cathedral architecture were translated perfectly into this film. 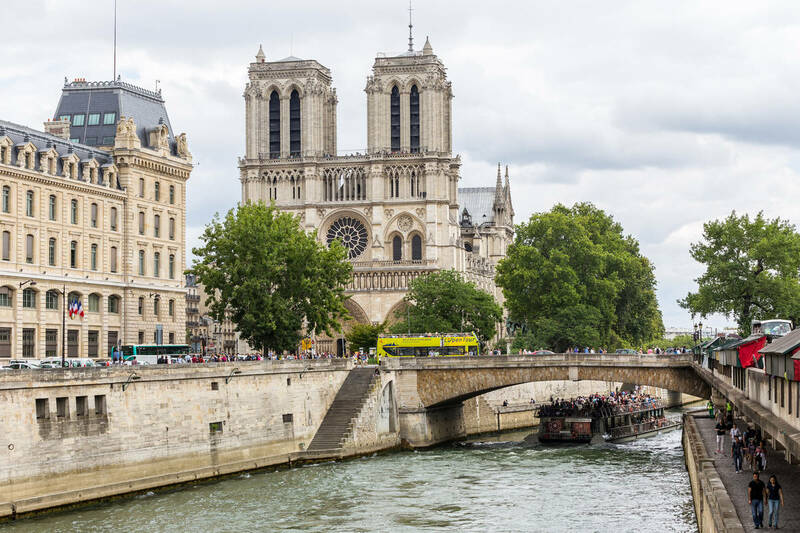 A visit to this famous landmark on the Ile de la Cité means a climb up its towers for older kids, and a play in the cute little garden on the south side. Even if you missed the accents and the kilts, the scenery of this film about fiery, red-headed heroine Merida is unmistakably Scottish. 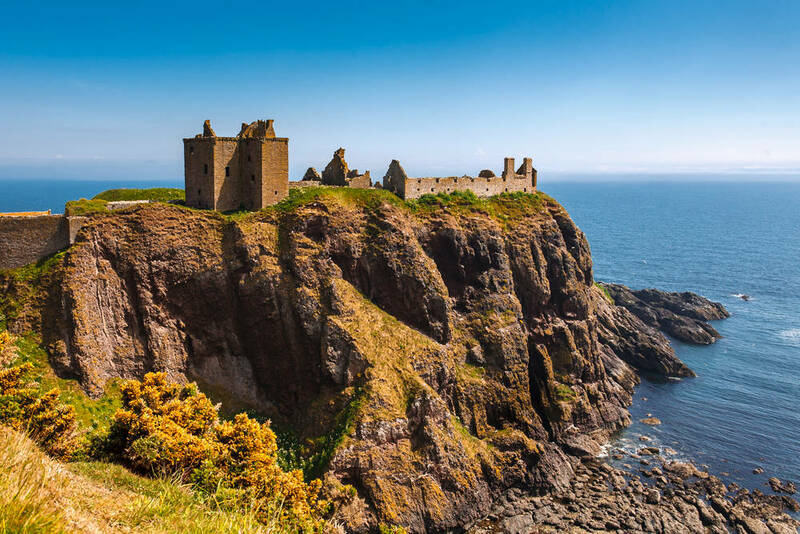 Her home castle was based on three Scottish castles: Urquhart, Dunnottar and Eilean Donan. The mysterious standing stones featuring in the film were drawn from the Callanish Stones on the Isle of Lewis, believed to originate from the Neolithic era. Follow the second star to the right and straight on ‘til morning, and you’ll land at London’s Big Ben clock tower. Used by Peter and the Darling children to find their way, the impressive clock face is near the Houses of Parliament and Westminster Abbey, also worth a visit. Climb the dome of St Paul’s or take a trip on the London Eye for the same rooftop views of the city that you would get with a sprinkle of fairy dust. Kensington Gardens is also home to a statue of the boy who never grew up. 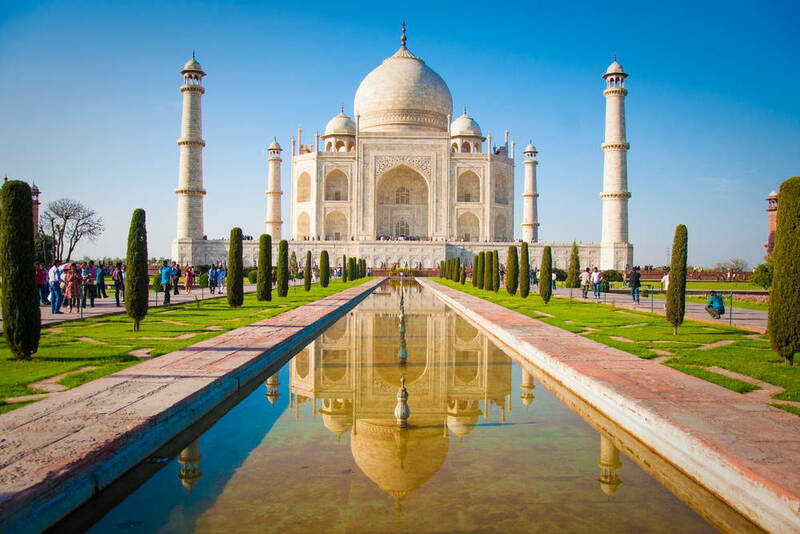 The fictional marketplace and palace of Agrabah is allegedly based on India’s Taj Mahal. Located in Agra, the marble mausoleum was built by Mughal emperor Shah Jahan for his wife, Mumtaz Mahal, who died in childbirth. Visit during the shoulder seasons of March and April, and September and October and arrive in time for sunrise. Children younger than 15 go free. The Taj Mahal is closed to the public on Fridays. You should also stop by Agra Fort. Rev your way straight to Radiator Springs. Route 66 is no longer the official road from Illinois to California, having been replaced by the Interstate Highway System. 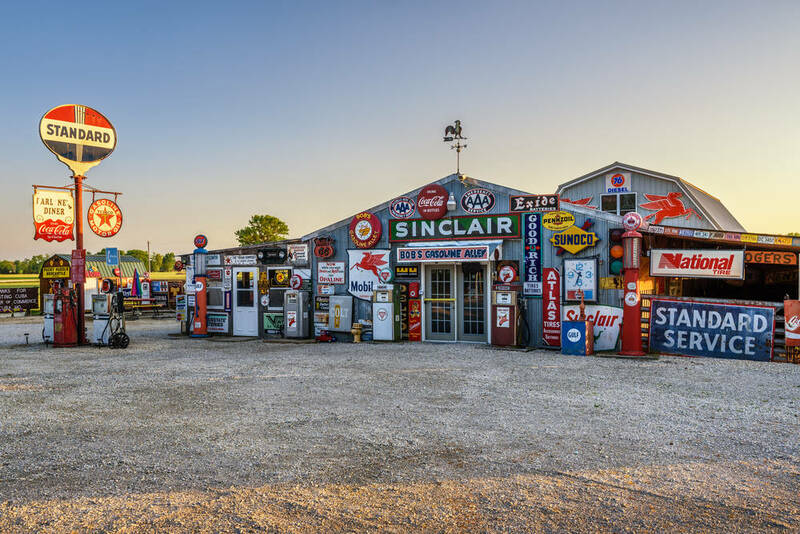 Sections of the road, however, in Illinois, Missouri, New Mexico and Arizona, have been labelled a National Scenic Byway known as ‘Historic Route 66.’ Ramone’s body art shop is the spitting image of the U-Drop Inn in Shamrock, Texas (now the local tourism bureau). Lion King animators visited Hell’s Gate National Park in Kenya to research local environment and wildlife. 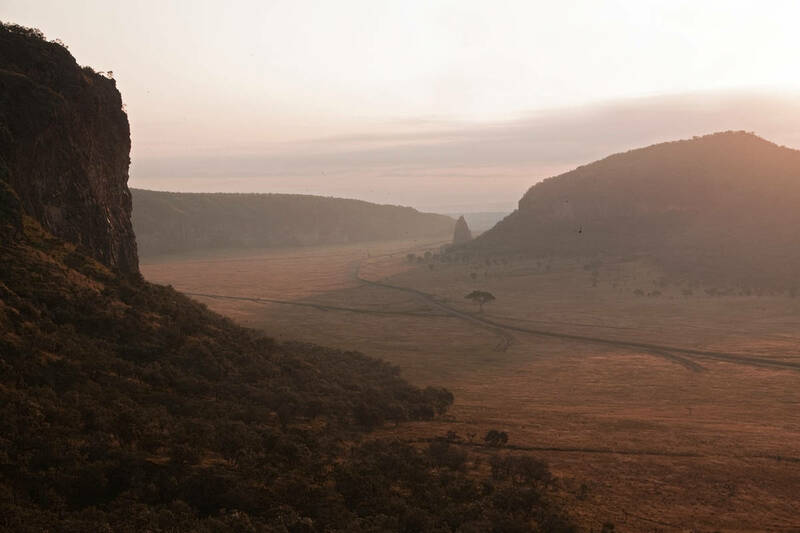 Found in the Great Rift Valley, the park is full of cliffs, gorges, volcanoes and the geothermal steam that earned it its name. You can walk or bike ride through past zebra herds before stopping for picnic lunch. By car, the park is easily accessible on a day trip from Nairobi. Entry is 26 USD for adults and 17 USD for kids.